Yesterday we had a quick look at South Korea’s World Cup betting odds through the Paddy Power website, and now we will take a look at the other East Asian participant in the World Cup – Japan. 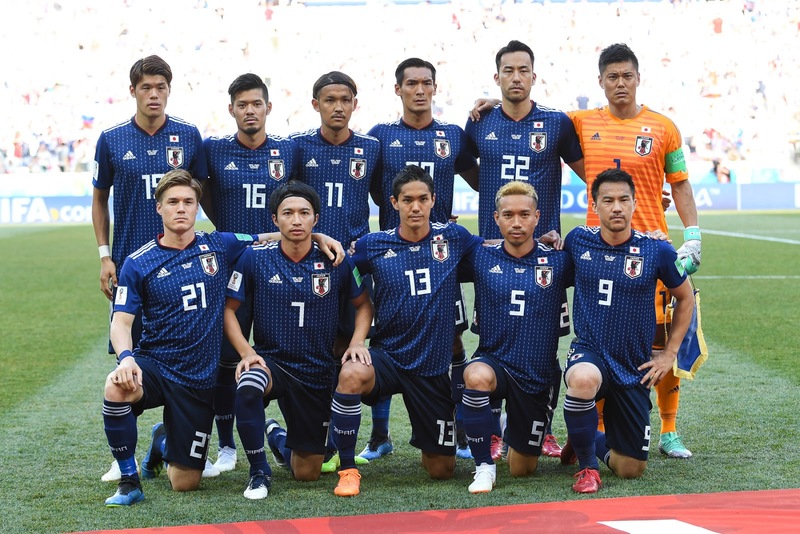 Japan have had a very turbulent build up to the World Cup so far with Vahid Halilhodzic being replaced by Akira Nishino with the reason given for the change being that Halilhodzic had fell out with the players and communication had become too bad. Something Halilhodzic is disputing in his in his dispute with the JFA which has resulted in Halilhodzic suing the JFA for 1 yen. Japan haven’t won a game since changing managers, and we will look to see if this awful build up to the tournament has been reflected in the odds. Oddly Japan’s odds for winning the World Cup are lower than South Korea’s which must have something to do with the groups they have been plonked in. South Korea have what could be labelled the ‘group of death’ by being paired with Germany, Mexico and Sweden whereas Japan have been grouped with Colombia, Senegal and Poland which is still difficult but not as difficult as South Korea’s due to having Italy’s conquerors, the World Champions and the best team from North America. Japan have no chance of winning the World Cup in our opinion, they will even struggle to get out of the group with the buildup they’ve had. So yeah these odds seem low if you ask me, Japan have no chance of reaching the final even though technically everyone in the World Cup does have a chance. It will be a miracle if Japan get out of the group never mind getting into the final. If you bet on this or any other bets similar to this where I have said Japan won’t get here and you win, feel free to post your winnings to our facebook page every day of your life. I am confident it won’t be happening. For Japan to get a massive semi on, Paddy Power have priced it at 75/1. These odds also seem low like all the others because the chances of it happening are slim to none, but if you feel like you want to take a risk, or you’re not short of cash then have a pop on it why not. It won’t happen. If it does though you get the chance to win big, or you could give your money to me and I won’t give you anything back, it would be the same as betting on Japan to get a semi on. If Japan somehow get out of their group, they are then likely to be facing England or Belgium, and it’s unlikely that Japan will beat any of these teams unless Belgium or England self-implode. As much as we want Japan to do well, we hate to say it but we think the best thing to bet on them at the World Cup is being rubbish. Which is very unfortunate. It is unlikely they’ll make the quarters either. It’s possible to bet on which position you think Japan will finish in the group, in our opinion it is most likely that Japan will finish 4th or 3rd in the group. If we are being optimistic then some days we think they’ll pick up a couple of points here or there, maybe two draws and a loss. If we are being pessimistic then we think they will lose every game and end bottom of the pile, sent home back to Tokyo with their tail between their legs. Japan are rank outsiders to win the group, if you fancy them to smash it then this might be a canny little bet. The reason it might be a canny little bet is because if Japan can pick up 1 win and 1 draw, all the other teams in the group also have the potential to take points from each other. What that means in reality is it isn’t out of the realms of possibility that this group could be a very low scoring one, and if it is then that could easily work in Japans favour. It will be tough for them to get four points but if they manage it they could easily finish top two. I still expect Japan to not get out of the group but the whole taking points from each other thing is sound reasoning and could send two teams to the next round no one expected or predicted. The bookies don’t expect Japan to do anything other than being really poor, so this is reflected in them being rank outsiders in the group to finish runners up. But this group really does have the potential for every team to beat one another, so if that happens it will be wide open. Or if as expected, Japan end up the group’s whipping boys then whoever doesn’t beat Japan will be doomed also. This group is gonna be fascinating. Japan become favourites in the group to take one of the bottom two spots with the bookies. We would recommend that these are more realistic bets to place on Japan but they also give you the worst possible outcome on winnings. If you wanted to take Japan for the bottom two places I would suggest throwing them in a double or something with another team you expect to be a bit gash. As expected Japan are clear favourites with the bookies to finish bottom of their group, which wasn’t unexpected because Poland, Senegal and Colombia are really good outfits. This is a sensible option as it has a big possibility of happening but at the same time the winnings make it a bit pointless. I would suggest a double or even a treble if you want to opt for this. This is probably priced correctly, eventually they have a correct price for Japan. The attacking options selected by the Japanese mean that it is likely they’re going to have a struggle or a battle for every goal they score in the competition. None of the Japanese strikers are prolific at club level, I believe most of them are not even out and out strikers at their clubs. More like floaters, false nines, grafters or a ten. Take Shinji Okazaki for example, I really love him because he grafts his nuts off but he is basically a Japanese Paul Dickov. And you wouldn’t be putting your life savings on Paul Dickov smashing the tournament up and winning you buckets, upon buckets loads of cash. The same can be said about Okazaki. I think this has been the best bet I have seen for the whole tournament. Japan have found it really difficult to score goals lately, especially against European or South American opposition. They don’t have any prolific strikers either. I will most likely be making this one of my only bets of the whole tournament and stick about 20 quid on it or something. I know a lot of people will think someone like Saudi Arabia has more chance of being the weakest team and the lowest scorers in the competition but their group is a lot easier than Japans and I even think the Saudis have a chance to beat Russia on the opening night. This is my tip for bet of the tournament. Honda won’t finish top scorer, but he is the only Japanese player listed on the top scorer betting list so there isn’t anyone else to choose from. 200/1 seems low for a bloke who is unlikely to get more than 1 goal. Even getting 1 goal will be tough for him, and that is with me knowing he has been playing like a boss in Mexico. Japan are rank outsiders to beat Colombia. They will need to play a lot better than they have been lately if they are going to beat Colombia, stranger things have happened and at 5/1 it may be worth a couple of quid as an outside bet. Saying that we still believe Colombia will win and finish top two. Japan are considered even money to beat Senegal, this means the bookies think this is Japans best bet at getting any points on the board at the finals. We tend to agree with the bookies here as Senegal are a bit like their star man Sadio Mane, either freezing cold or boiling hot, so it depends which team rock up to face Japan. The bookies don’t think Japan have much of a chance to beat Poland. I believe Poland are the strongest team in this group actually not Colombia, that’s something I disagree with Paddy power here and guess I’ll have to look at the odds for Poland beating Colombia. If Japan go into the last game needing to beat Poland it may be worth popping them on an accumulator or something as they might decide to roll the dice and attack from the off. If Poland are already through also then it is doubly worth a punt. We believe because of Japan’s awful build up to the tournament so far they haven’t given themselves the best chance of performing well at the finals, Akira Nishino has it all to prove as it seems like he may have played a part in the downfall of Vahid Halihodzic considering he was the JFA technical director at the time of the sacking. He has recalled Japan’s big names to the squad, and the onus is on them to help out Nishino as favour for bringing them back into the fold, no matter how much they want to though I think Poland and Colombia have too much in their locker for Japan to compete with and if you’re thinking of betting on Japan’s final group position id plump for 3rd or 4th in the group.